Do you have a heart for working with people with physical and developmental disabilities? Kern Dance Alliance and the League of Dreams are seeking dance student interns to assist with the 6-week ADAPTIdance program. Dance interns will support the ADAPTIdance staff and participants, assist with dance classes and choreography, and will perform in the ADAPTIdance performance at the Fox Theater on November 13 at 4:30. ADAPTIdance dance interns are expected to have at least 3 years of formal dance training and experience in assisting dance classes. Community service hours and letters of recommendation are available to all dance interns. Student interns are expected to be available for the duration of the fall 2019 ADAPTIdance program. All ADAPTIdance dance interns will attend an orientation and training session at the Dance Studio at Garces Memorial High School. To apply, submit a completed application form (below- all fields are required), cover letter, resume, and one letter of recommendation. 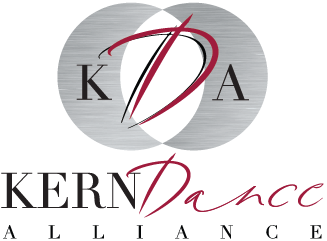 Kern Dance Alliance is a non-profit dance advocacy organization supporting and promoting dance in Kern County, Ca. The mission of the League of Dreams is to work towards fulfillment of our motto: “Every child should have the chance to play!” Therefore, our mission is to provide sports training, team camaraderie and competitive sporting opportunities for athletes with disabilities. Under the supervision of the KDA Board of Directors and League of Dreams staff, this, approximately 10-30 hours internship, is a hands-on position that will be responsible for assisting across multiple program areas including dance class preparation, choreography development, and hands on assistance with ADAPTidance participants. ADAPTIdance dance interns are expected to have at least 3 years of formal dance training and experience in assisting dance classes. Internships are unpaid but are available for credit from the individual’s high school, college or university. ADAPTidance Student Interns will receive a letter of recommendation upon request, and a great deal of hands-on experience. I am partially available for ADAPTIdance, Saturday, October 5-November 9, 1:00-5:00 PM- my availability (dates/times) are listed here. I grant permission to Kern Dance Alliance its employees and agents, to take and use visual/audio images of me. Visual/audio images are any type of recording, including photographs, digital images, drawings, renderings, voices, sounds, video recordings, audio clips or accompanying written descriptions. I agree that the KDA Photographer owns the images and all rights related to them but permits KDA license to use them. The images may be used by the Photographer and KDA in any manner or media without notifying me, such as web sites, publications, promotions, broadcasts, advertisements, posters and theater slides. I waive any right to inspect or approve the finished images or any printed or electronic matter that may be used with them. I release the Photographer and KDA and its employees and agents, including any firm authorized to publish and/ or distribute a finished product containing the images, from any claims, damages or liability which I may ever have in connection with the taking of use of the images or printed material used with the images. CAUTION: This is a release of legal rights. Read and understand it before signing it. I understand and agree that by participating in a KDA Event there is a possibility of physical injury or death. I voluntarily agree, therefore, to assume all risks and responsibility for any such injury or accident, which might occur to me or my child during the KDA Event. I also exempt, release, and indemnify the Kern Dance Alliance, its staff, agents and/or volunteers from any and all liability claims, demands, or causes of action whatsoever from any damage, loss, injury, or death to me, my children, or property which may arise out of or in connection with participation in this event. I further hereby voluntarily agree to waive my rights and that of my heirs and assigns to hold the Kern Dance Alliance, its staff, agents and/or volunteers liable for such damage, loss, injury, or death. I understand that I should be aware of my physical limitations and agree not to exceed them. I am at least 18 years of age and competent to sign this release. I have read this release before signing, I understand its contents, and I freely accept the terms. If I am signing this waiver for my children, I certify that I am the parent or legal guardian and have the right to waive these rights. If under the age of 18, you must provide the signature of a parent/guardian.